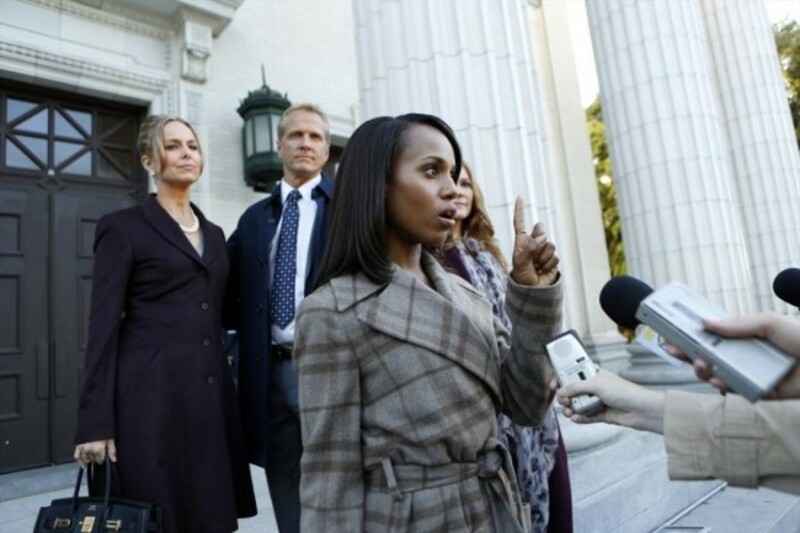 Scandal Recap: "Say Hello to My Little Friend"
This week’s Scandalused recent headlines to inspire their new client’s case. A sexting-happy senator was on trial for murder after one of his girlfriends ended up dead. His wife, Shelly, dutifully stood by his side, until she found out he had sexted with a bunch of other women. He’d lied and said it was a lone mistake. David Rosen (Joshua Malina) tried the case, and was pretty grossed out Pope & Associates would defend such a scummy client. 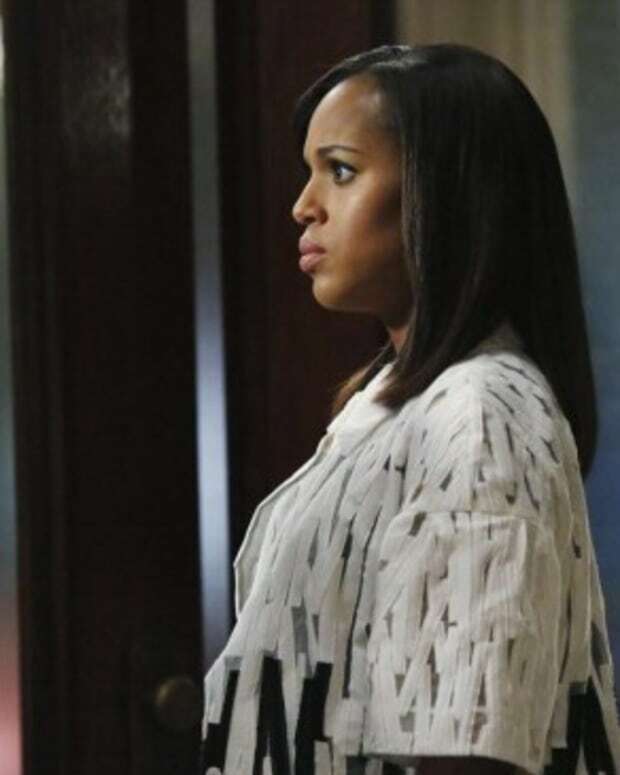 Olivia (Kerry Washington) seemed skeeved too, but her firm needed the money. Olivia was ultimately able to convince her client’s wife to testify, thereby providing his alibi for the time of the crime. David tried to make it seem like it was obvious a wife would lie for her husband. However, the woman was believed because she made it clear she thought her husband was a pervert, and revealed she now hated him. The disgraced senator was acquitted. Afterwards, Olivia realized Shelly had lied on the stand about her husband’s alibi. The couple hadn’t been home together. The wife had been out killing the mistress. Since Shelly thought it was only one "other woman," she believed the murder could save her marriage and her husband&apos;s career. “The wife did it!” twist is one we’ve seen dozens of times before on legal soaps. I like when Scandal goes the unexpected route. I’d rather the show start to focus on the Operation Remington storyline. The sudsy drama works better when it focuses on its serial elements. Fortunately, there was some movement on the Rowan/Remington front. Olivia told Jake (Scott Foley) to leave her alone. She wanted to forget all about B6-13 and play the role of dutiful daughter. Jake and Huck (Guillermo Diaz) teamed up to seek revenge on Command (Joe Morton). Eventually, they brought their info to Olivia. The man Huck murdered in the previous episode knew something about a shady mission Fitz (Tony Goldwyn) conducted during the first Gulf War. Fitz had made preparations for the man to be buried in Arlington Cemetery. Fitz told the man’s sister that although they hadn’t known one another, they’d served in the Navy at the same time. It was odd seeing Fitz do something so selfless and decent. 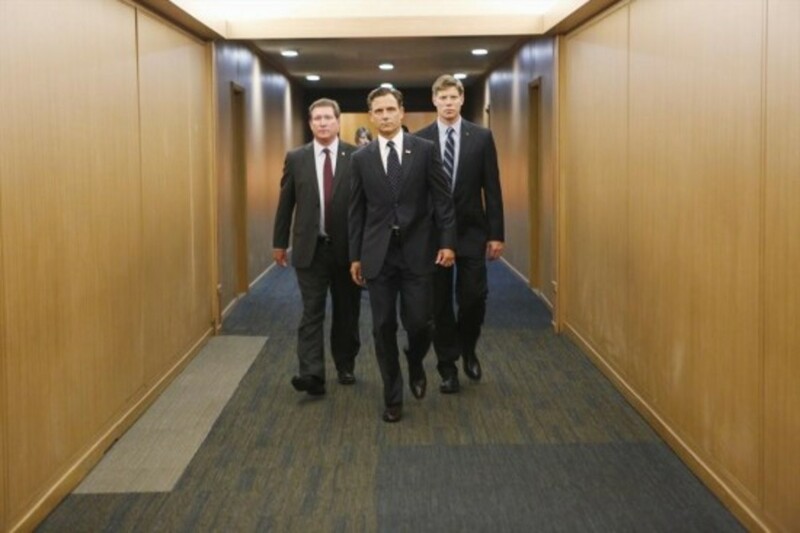 At the end of the hour, Fitz walked right into Eli’s office and demanded a meeting. There was also a subplot involving the ever-faboosh Mellie (Bellamy Young). After making a public statement about rising Democratic Congresswoman Josephine Marcus (Lisa Kudrow), and saying all women need to stick together to break The Glass Ceiling, she was caught on tape making a sexist, disrespectful comment about the congresswoman. Cyrus (Jeff Perry) was furious because it greatly improved Josephine’s chances of winning the Democratic presidential nomination. 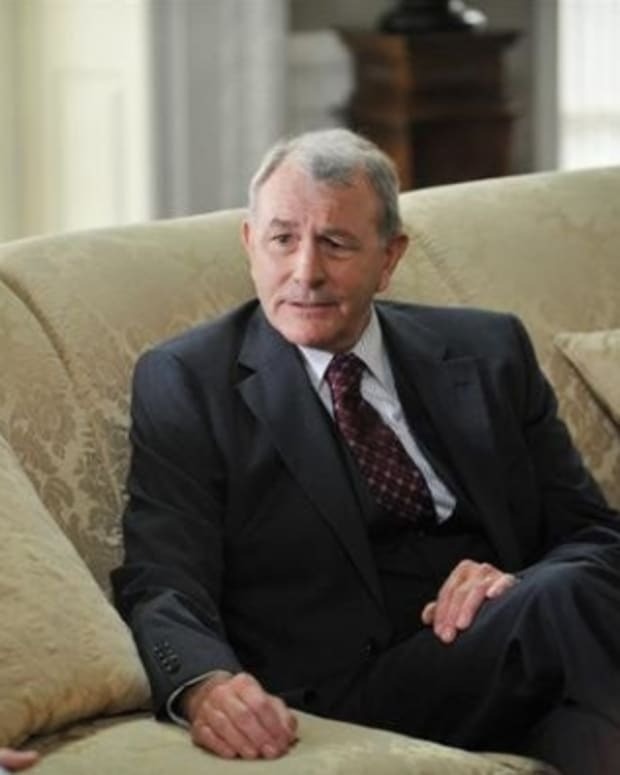 Cyrus was still upset after Mellie’s public apology failed to neutralize the situation. In an instance of “Is this Bizarro World?” Fitz defended Mellie, by yelling at Cyrus to stop screaming at her. 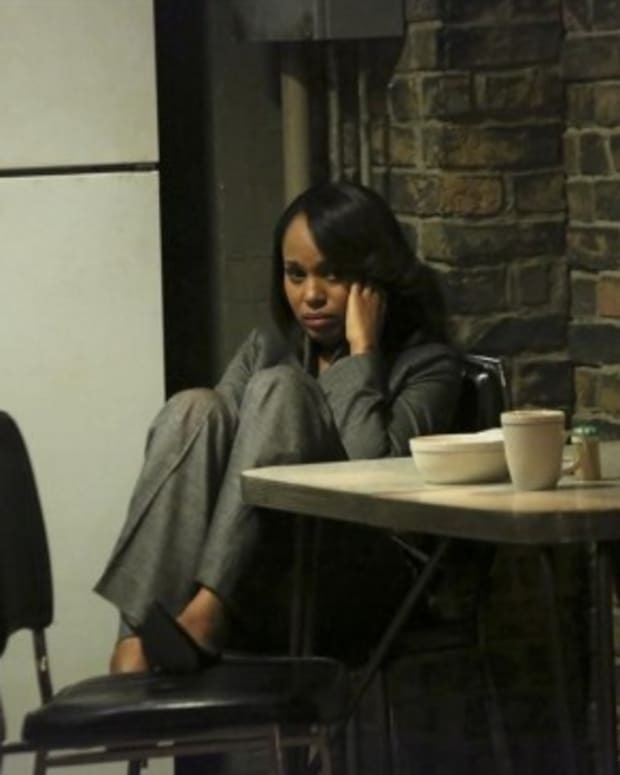 Mellie was so touched at first it looked like she was going to fall over. When she realized it was just an offhand gesture, it reminded her of her sham marriage, and then she just seemed sad. Cyrus sent an underling to Josephine&apos;s hometown to dig up dirt. He discovered Josephine had a baby as a teenager. How awkward was it when Fitz called just as Liv and Jake started making out? Jake did not seem pleased, and made sure Fitz overheard he was there. Olivia shouldn&apos;t have taken a call from one lover, with the other one in her apartment. Isn’t that just mistress etiquette 101?